Use NFC technology and offer a high octane experience within your events. It is fast, secure and transparent. The NFC chip (integrated in the classic wristband) is a game changer. Visitors can top-up money, check their balance and pay – all without queueing, with just a simple tap of the hand. The chip stores all the entry credentials and allows visitors to access their designated areas. 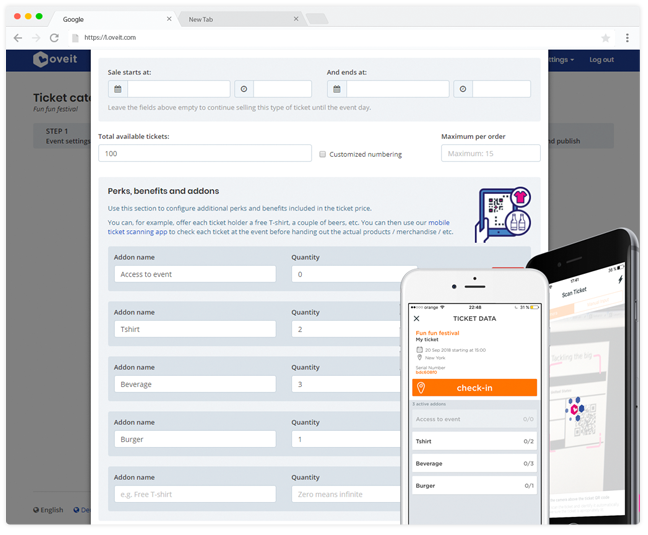 If you add perks and benefits to certain ticket categories (yes, Oveit lets you do that) your attendees can claim them with just one tap. 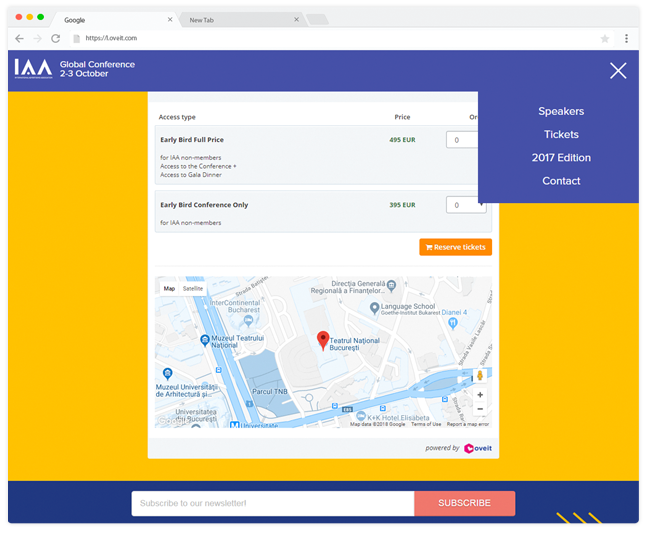 This technology offers access to real time data so you will know at any given moment how many attendees arrived, which areas they prefer and how much they are spending. People attend our events because you offer them blissful experiences. Go a step further and save them the trouble of carrying separate tickets, cash or tokens. The NFC chip can be paired with the festival account of your guests (that contains information about access credentials, data from the registration form and more). Your visitors can then pay for their purchases by simply tapping their NFC tags to a reader. The owed amount will be withdrawn from your guest's account. This is the same technology used for contactless credit cards, so the transaction speed is quite fast. You save your guest the trouble of carrying cash or tokens (and maybe losing them). Your event or venue can become cashless, easier to manage and safer for visitors. Using NFC wristbands and Oveit’s app you can manage access across your event. You can set up complex access management credentials according the visitors’ ticket options and you can scan visitors using either NFC enabled smartphones or NFC readers. For example you can set up access points at the entrance, at special areas in your event or venue and you can specify who has access and who does not. Maybe the golden ticket holder has access to all areas, whereas the general entry ticket can only visit the main event area and the coffee shop. 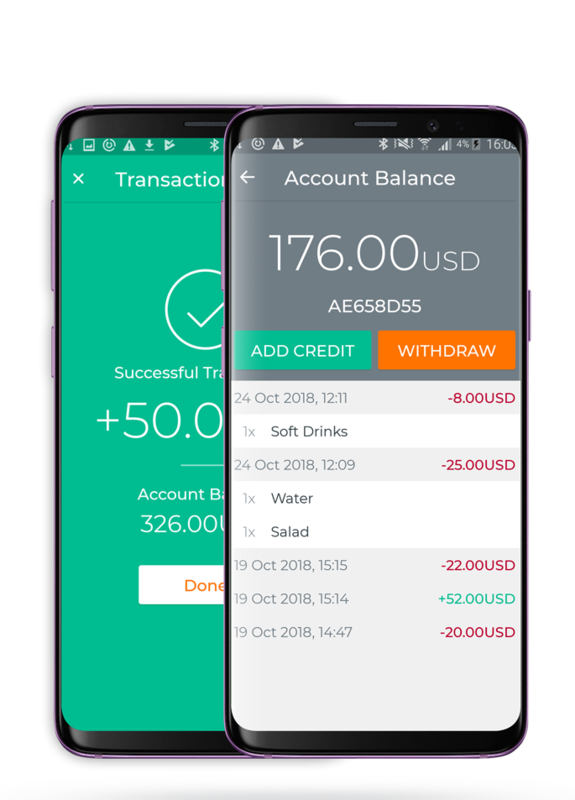 All these options can be set up easily with Oveit. Interactive screens are highly used for brand activations and are truly fun. But can we make it personal? Can we really interact and personalize the message brands send across? Yes. The NFC technology transfers the needed info with just a tap, saving your attendees time and helping them concentrate on the fun. It also allows you to personalize the interaction (based on the info you already have from the user, for example the animated character can be the same gender as the user, or the user’s name can appear on the screen). These makes your experiences even more memorable. f you use addons for your tickets (like free T-Shirts, water, beers etc) attendees can claim them with a simple tap of the hand. every piece of information being immediately updated. This can help you increase revenue for your events, add multiple layers of fun and engagement and increase visitor loyalty. Being connected to your guest's account, the NFC chip lets you know at any given moment which are his access credentials. A simple tap will show you if access is granted for one or more days (essential information if you hold a multi-day festival) and if access is allowed to a particular area (ex: V.I.P. lounge). 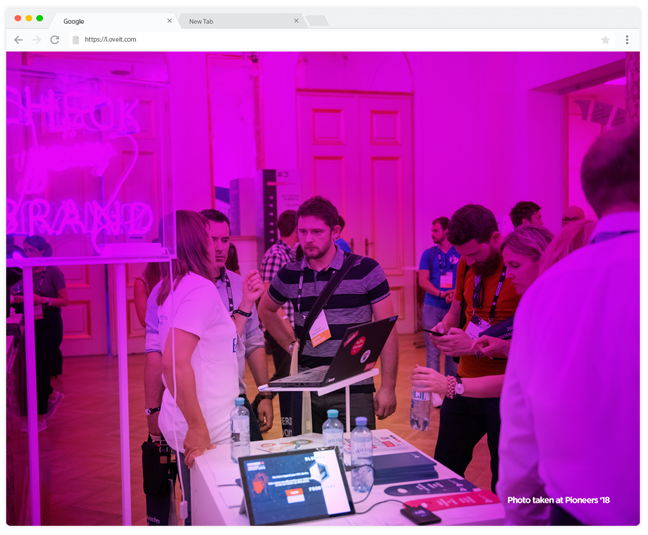 At the end of your event and during the event you can view real time info on where your visitors are spending their time and which are their favorite activities. Treasure hunts are another perfect way to engage the audience. But how can we use NFC technology in this case? Each time a contestant reaches a check point he taps the wristband to the indicated NFC receiver and receives another clue. You will have real time access to each player's progress and also get info about each participant. It's a perfect match when treasure hunts are used for brand activation and with NFC technology your sponsors will have access to the much-wanted demographics. 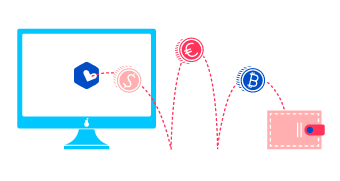 Set up your account and start selling eTickets in minutes. Send electronic tickets to your attendees. Scan tickets at the entrance and get real time reports on attendance. Sometimes you need to focus on a particular audience. 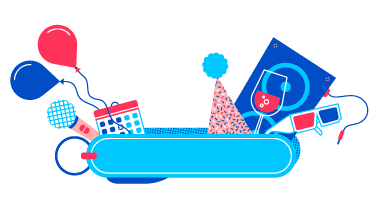 Create invite-only tickets without complicated processes. 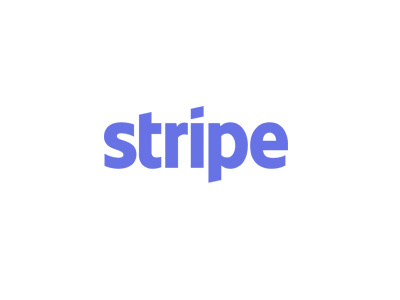 Connect your PayPal, Stripe or Bank account and start receiving payments instantly. 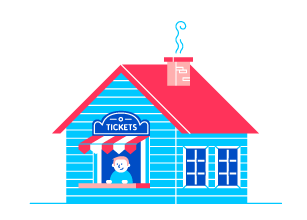 Each time someone buys a ticket, funds are sent to your account. Our app is fully responsive so everything is automatically resized for a great experience across devices. Create your perfect event space with our easy to use seating design tool. Drag, drop, rotate, add and remove rows or individual seats. Works great for any type of seating map. Easy to use registration forms. Create complex forms in seconds. Allow attendees to fill in text, date, emails, select options and even upload files. Everything is saved and stored for your convenience. 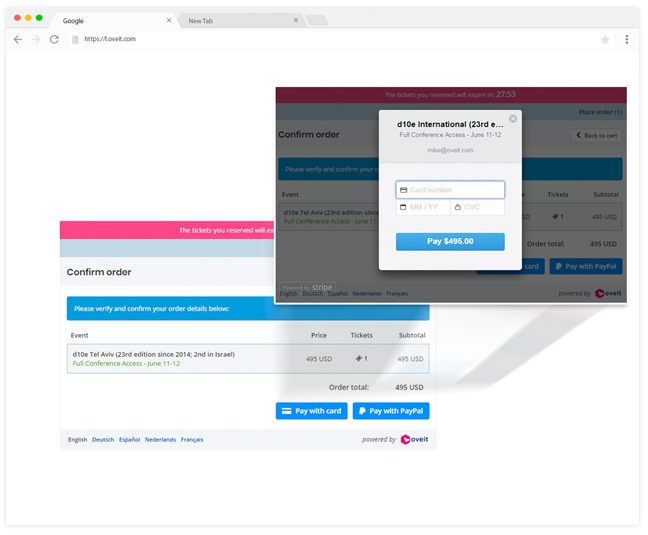 With over 130 currencies, multiple language interfaces and automated invoicing system, Oveit helps you register visitors globally. Set up data privacy compliant registration processes. With Oveit you can allow visitors to opt in and out of your specific policies. Easily comply with GDPR and other data privacy regulations. Available for Android and iOS. Scan tickets, see entrance reports as they happen. Connect more devices to improve access to your event. Data is automatically synced. Gather personal data from your attendees using forms. Use this data to design beautiful, personalized badges in minutes. Stay in control with real time financial and sales reports. See reports in real time. Export your data easily and adapt your marketing efforts. No complicated integrations. Invoices are generated instantly, without any effort from you. Just start your account, input your company data and Oveit takes care of the rest. Create personalized discount vouchers, offer free access, create bulk sales options and set up limited time offers for your tickets. Copy and paste our embed code and everything happens on your website. Registration, payment - it all runs in your website. We know great experiences are a team effort. With Oveit you can invite your team and work together on building your amazing project. Search for relevant data. Customers, attendees, purchases, events and more. Keep track of your attendees, their preferences and purchases. No need for extra cash transactions. Just pack everything in one ticket. Entrance, access to specific areas, even beverages, food or merchandising. Pack everything in one ticket. Use Oveit to integrate with existing systems or building new tools. 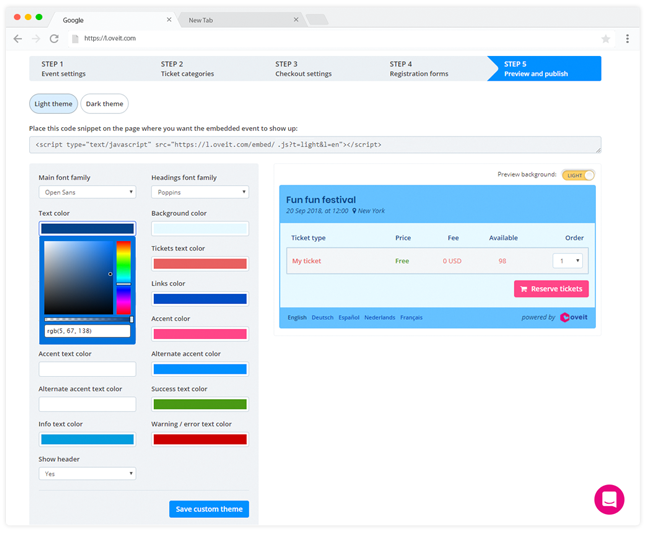 Manage ticketing and access control with a single tool. Connect multiple vendors and points of sale. Use vouchers to manage discounts and create invite-only tickets. 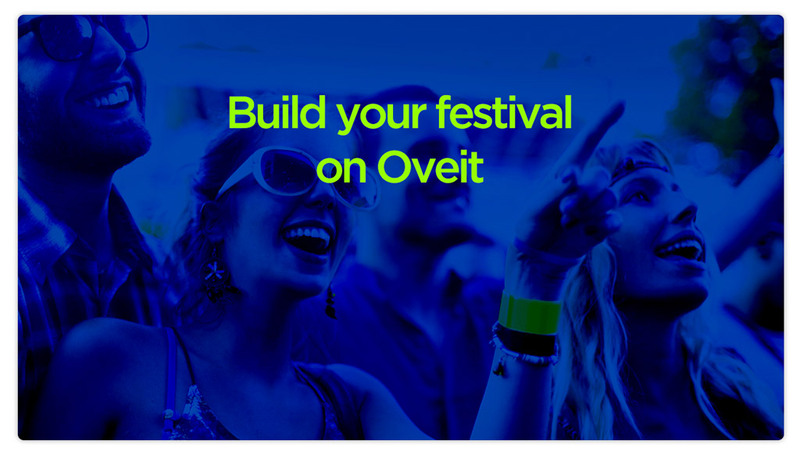 Create long lasting experiences with Oveit. 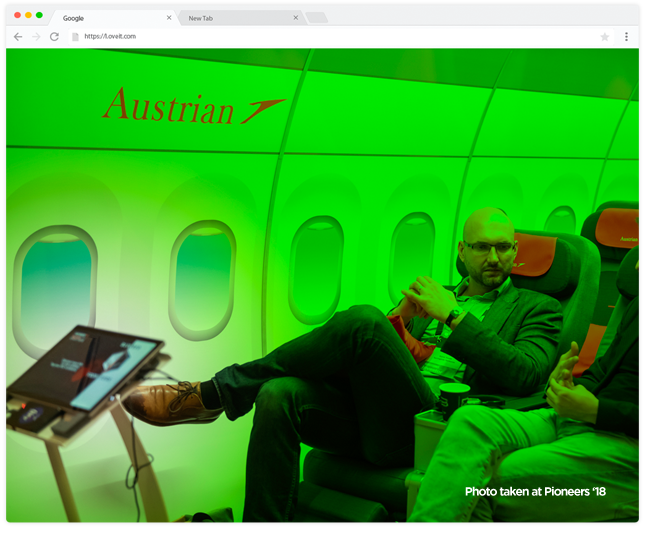 Engage with your visitors and offer sponsors the tools to interact with the audience. Manage your vendor ecosystem with our revolutionary closed loop payment technology. Allow visitors to pay using contactless tokens (NFC chips) or pay with their face. 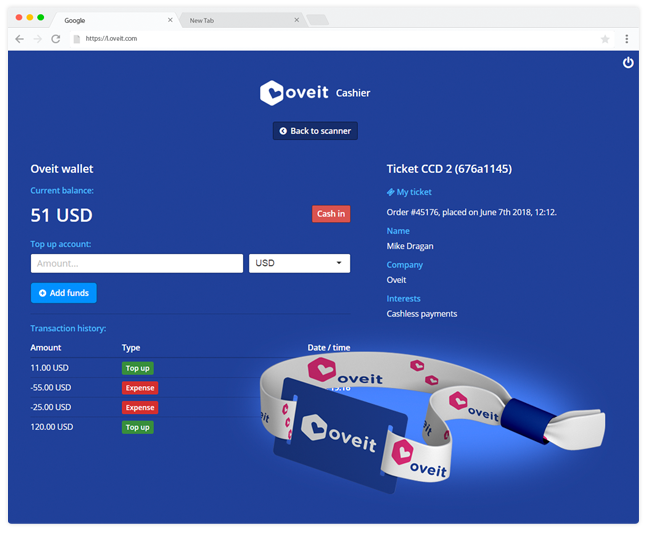 Oveit allows you to receive payments directly into your account using our preferred payment gateways. 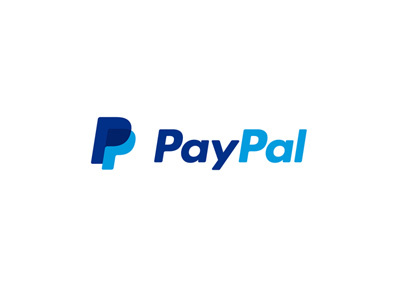 Alternatively we can integrate with a local payment processor our your ticketing provider. 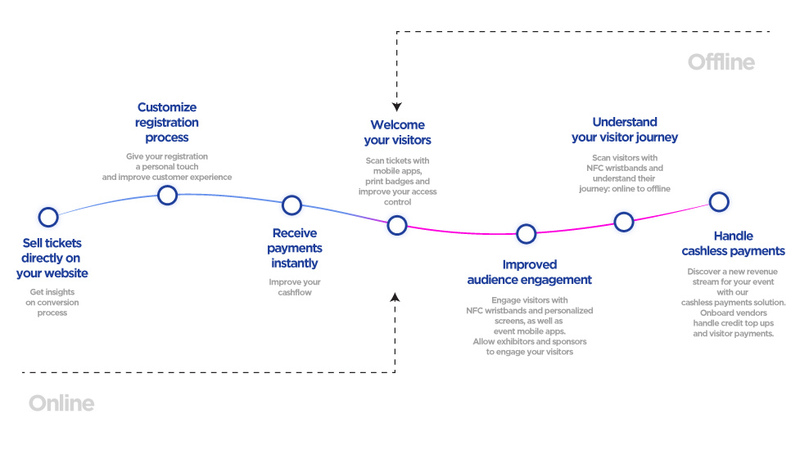 Improve revenue and visitor journey. Don't take our word for it. See it for yourself.